You've heard us talk before of our affinity for trees in North Dakota. They are a rare and precious commodity. 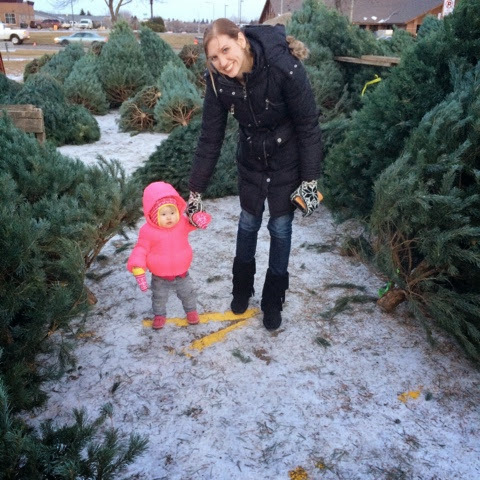 So when we choose a fresh evergreen to put in our homes during the holiday season, few North Dakotans get to cut their own. Most fresh Christmas trees come to us on trucks from other states. And these trees are from tree farms. Pruned and trimmed to take on the perfect shape. Up until last week, I thought all trees at the stands were the same. I was wrong. My husband, child and I were wandering the aisles at the tree stand and I found one I was especially drawn to. It looked just a bit different from the ones around it. The salesman came over and we asked about the tree. His eyes lit up. "Oh this one? It's a WILD tree." He was pretty excited, considering he was describing a evergreen. "It has never been pruned or shaped. Just planted and left to grow. And it's the only one we have left in the lot." I looked at my husband excitedly. "A wild tree!" He was amused. My husband is from Oregon--a tree state. He understands trees, loves them, and misses them. He grew up surrounded by trees just like this one. 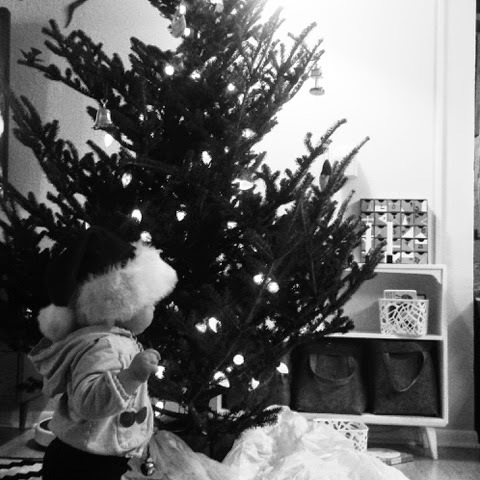 The idea that a never-pruned Christmas tree was a novelty and more desirable made him chuckle. Needless to say, the wild tree came home with us. And I'm not the only one who loves it. We may not live in the big woods of Oregon, but for this month I get to imagine I do. I get to imagine that this imperfect tree was plucked from the woods that surround my home. It's part of the Christmas magic that so many of us cherish.